At the Southern Tip of Indiana on the Eastern border there is a unity in the town of New Harmony. A portion of it sits in Illinois and another part sits in Indiana. Two states come together to form one town. Within this historic town, there are two labyrinths. The oldest was a hedge labyrinth that turned into a maze and was later turned back into a labyrinth. The other is more modern and called the Cathedral labyrinth. It’s polished marble makes for a sleek walk that when wet, highlights the high gloss of the marble. Whether old or new, two labyrinths serve one purpose, to walk, learn and discern. The town of New Harmony is an interesting mix of historic and innovation as it is full of educational and scientific historical reference. The town was founded in 1814 by a communal religious group known as the Harmonists. They believed they could bring a new world moral by living communally and becoming self sustaining with a focus on education, science and technology. The image above initially was created as a labyrinth. The second group of Harmonists turned it into a maze and in the early part of 2000, the labyrinth was restored. It is the interesting mix of modern and historic, two states and two labyrinths that make this one town a quaint innovative experience. Its futuristic outlook in the 1800’s is still present today, while it steps away from the busy pace of the rest of the world. Unity is present in bringing together different perspective for one main goal. The Labyrinth Society held a gathering here to bring those in step with the path of the labyrinth into one single focused weekend of discovery and expansiveness. Such is the power in uniting and collaborating for single minded purpose. Explore two sides of one point as you walk in, center and return. Note where those two sides have the possibility to come together today. As we traveled the globe in search of exploration and returned with an abundance of realizing the consecutive connectives of the world in June and July, we touched the mere surface of our planet through the eyes of the labyrinth. In the month of August, we continue the explorative nature looking for what insight brings us to unite. It can be a discovery of the united purpose that we connect with others, or in the way we bring who we are with what we can and want to do. What August brings is a focus of how the labyrinth brings state of being united, within ourselves within the United States. Send along the labyrinths, programs, art, and offerings within the United States that you feel best represents this for daily postings. 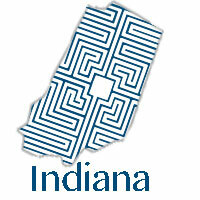 Reach out and share the unique labyrinths in this month within the United States that serve to unite. We look for the unique design, interesting purpose, connected message, in the labyrinth or in the ways we share with others in message or program, art, design and education applied. Share your ideas, programs, purpose images and experiences at the 365 Experience on the TLS website providing some detail of why you design, share, create, build or simply walk, who benefits and how it helps us unite. Personal insight or National perspectives are welcome. As we take each day of the 31 available in August exploring what brings us insight with our selves or as a nation through the paths of the Labyrinth. This quarter focuses on the ways we apply the insight we gain and as we are united with our own insights, may we use them as well in a way that unites us personally and also purposefully with others as a nation united.